Park Remains closed during Monsoon ie. from 15Jun – 15Sep. Best Time to Visit: Feb-May. Seating Capacity: 6 (Tourists) + 1 Guide + 1 Driver. Buxa Fort, 60 Km away. 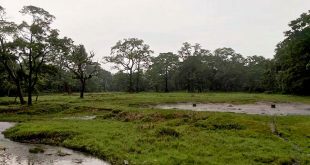 Raja Bhatkhawa, Jayanti River is 39 Km away. Madan Mohan Temple is 64 km away. Kunjanagar Eco Park is 18 Km away. Baneswar Tortoise Project is 62 Km away. 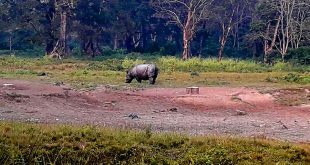 Gorumara National Park is 73 Km away. Tickets can be purchased a day in advance at the counter for the next day Safari. Counter remains open until 3 pm. Valid Photo ID proof required for ticket purchase at the counter. 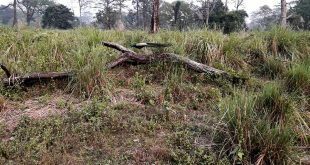 How to reach Jaldapara Wildlife Sanctuary? The nearest railway station is at Madarihat which is 7 Km away. The direct state and private transport facilities are available to this sanctuary with good frequency.